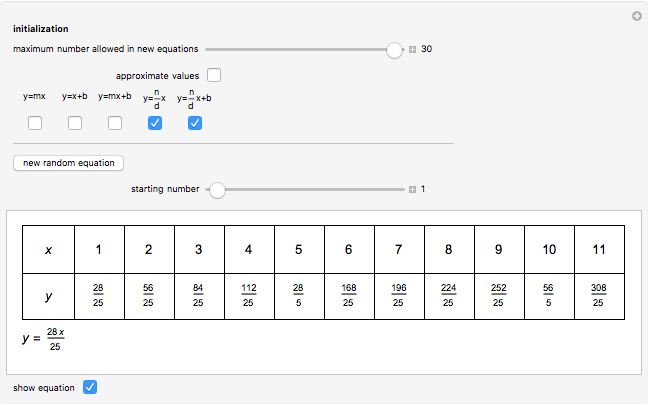 Test your ability to identify linear equations from tables of inputs and outputs. 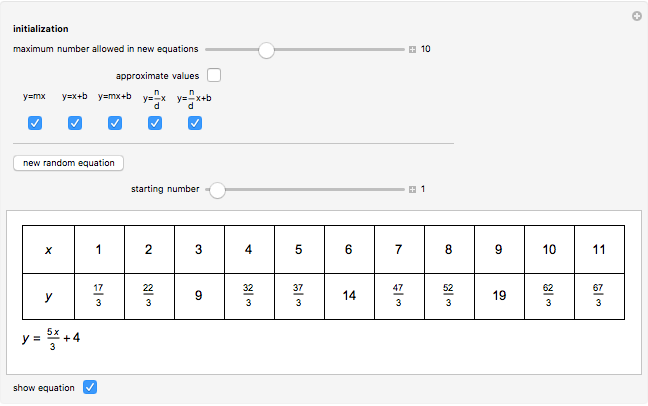 Use the checkboxes to select the kinds of equations. 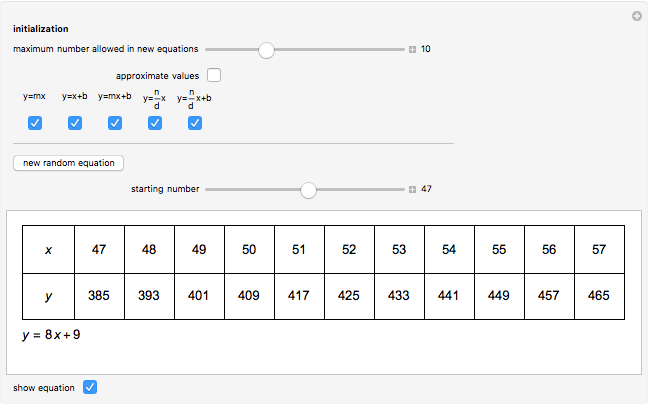 Jesse Nochella "Finding a Pattern (Linear Equations)"